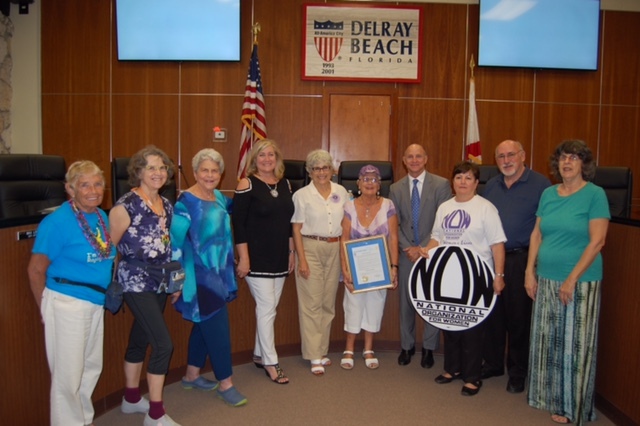 From petitioning your city council to fund the local domestic violence shelter, to registering voters for the next election, to organizing a rally against unfair legislation, to planning a meeting where people can share their experiences with street harassment, Palm Beach County NOW is a way for you to put your beliefs into concrete action and create change. Check out our event calendar for more information. Join Palm Beach County NOW to stop the injustices you see around you. Each member of Palm Beach County NOW has a voice. Make your voice heard by joining NOW today! You can join as a member of Palm County Beach NOW or as an at-large member in Florida. Regular dues are $40. Students or reduced dues/sliding scale pricing available from $20 to $39.